Bloom where you’re planted… a beautiful phrase I’m going to talk about this post but one I’d also like to amend- because most of the people I know have been transplanted at least once, if not a half dozen times in as many years at some point in their lives. So at the risk of killing the garden metaphor- I’m going to just say bloom where you are. Because maybe you aren’t planted yet. Maybe you’re in a window box or one of those little plastic containers being transported to an eventual garden- that’s ok, bloom and blossom and bring joy right where you are! This month has flown by and I’ve blogged less than I’d like. Things have come up like travel, illness, and my computer being out of commission due to a blown charger. Things have come up like accepting another show to direct as part of my Director of the Year award from The Bridge Initiative. All that to say that good/bad and between, I blogged less than I’d have liked but I’m proud I still managed to blog as much as I did- I’ve just been busy blooming. And I wanted to be sure to get in this last post before we move into May. Many of my artist friends were surprised that my husband and I chose to move to Arizona. Arizona has a pretty sad track record when it comes to funding and support for both education and the arts. It was also coming up a lot at the time for some seemingly crazytown bills and news stories. Aside from the fact that I feel miserable during the winter and love the Arizona sunshine, as well as the fact that I have family here, we told our incredulous friends that the lack of support and funding and the insanity- of both perceived and true variations- were exactly why we were moving here. Arizona needs artists. 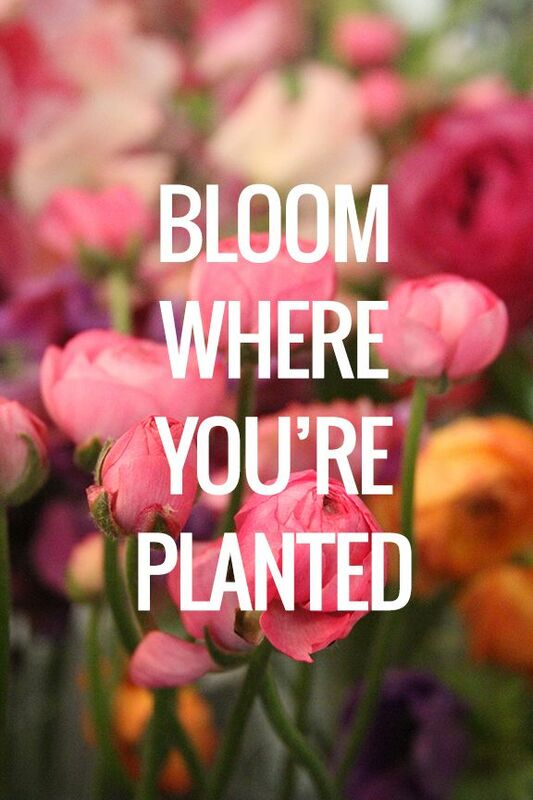 Bloom where you’re planted- you don’t have to go somewhere crazy or exotic to make a difference. You can do it right w here you are. You can make someone’s day better right here, right now, with whoever surrounds you and comes in contact with you during your day. Your Community needs you. As I head into my next year of life, I am going to continue to keep this phrase in mind as I cultivate my garden of friends, family, and community. 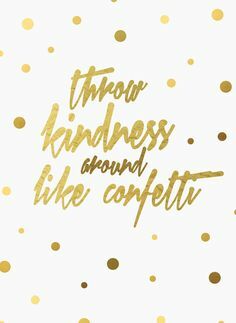 I want to spread kindness and compassion and thoughtfulness and joy. May’s theme: BLISS. May is my favorite month. May is like a nonstop celebration: my birthday, many family birthdays including that of my son, Mother’s Day (and speaking of mothers, the whole month is known as Mary’s month), graduations, and my anniversary. Lots to bliss out about and I hope to make time to share all about it.